Saskatchewan now to hold the largest EOI (Expression of Interest) draw at the lowest scores for Occupations In-Demand candidates and Express Entry. Gepsi - News - Saskatchewan now to hold the largest EOI (Expression of Interest) draw at the lowest scores for Occupations In-Demand candidates and Express Entry. The Express Entry draw held on October 10, issued 359 Express Entry sub-category candidates, with a lowest ranked score of 60 under the Saskatchewan’s point assessment grid. Occupations In-Demand sub-category also issued invitations of 494 candidates, with the lowest ranked score of 63. The score reached to minimum in both sub-categories since the Saskatchewan Immigrant Nominee Program (SINP) adopted an Expression of Interest System for both the sub-categories in July. 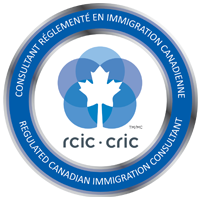 To meet the eligibility criteria for the SINP’s Express Entry sub-category, the candidates must obtain the minimum requirement of 60 on the point assessment grid of Saskatchewan and must have work experience in a high-skilled occupation which is found on the province’s In-Demand Occupations List.